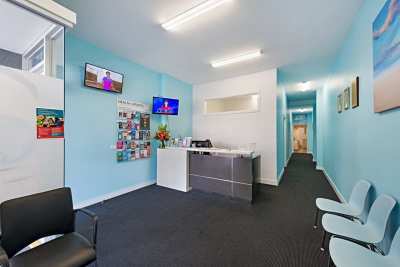 Bentleigh GP Centre is a modern private general practice with family style located in Bentleigh Shopping Centre. We provide Healthcare service to surrounding suburbs including Bentleighgh, East Bentleigh, Caulfield, Brighton, Murrubeena etc. We are fully computerised and have a broad range of state of the art medical facilities. Our highly experienced GPs, Nurses and Allied Health Professionals provide comprehensive family medical care of high quality. Our aim is to help you reach your optimal state of health, by focusing on not only on high quality treatment when needed, but also by providing prevention and health promotion tools and advice. Our practice is well integrated with on-site Allied Health Professionals. Together we offer quality Pathology Collection (Blood tests, ECGs, Spirometry, etc), Psychology, Physiotherapy, Podiatry, Dietetic & Exercise Physiology and Complementary Medical Expertise. Our friendly professional team is committed to providing a positive, supportive and caring environment, and to delivering a high standard of physical, social, and emotional care at all times. Dr Frank Zeng has worked as a GP for many years. He has first-hand experience in all aspects of General Practice. He has particular interest in the managment of chronic pulmonary disease, Vascular disease, chronic skin disorder such as chronic dermetitis, psoriasis,sleep disorder etc. Dr Zhang worked as a medical practitioner in China for many years before she migrated to Australia. She kept her passion for medical practice and patient care after she arrived in Australia. She recieved systematic strict medical and clnical training in Australia and got first hand experience in a few public hospitals and general pratice clinics as well. She was granted a fellowship of Royal Australian College of General Pracitce. She also has interest in basic and clinical science research. She got her PhD Degree in China and got her MD dregree from Univerity of Melbourne. She has interest in all aspects of general practice, particularly in Woman's and Child health. Dr Abert Braustein is a graduate of Medical School of Monash University. He has worked as a GP more than 20 years and become a very experienced family doctor. He has interest in all aspects of general pracice. He likes footy and comedy. Dr Lucy was born and raised in China, graduating from Xiangya Medical School, Central South University, China, in 1988. She worked at Xiangya Hospital and has 12 years of GP experience, with special interests in Paediatrics, Women’s Health, Chonic Disease Management and Dermatology. As well as being an English speaker, she is fluent in Mandarin and Cantonese. In the year 2000 she migrated to New Zealand, unable to gain medical registration there, she completed a Bachelor of Nursing, at Auckland University, and has worked in hospitals, as a Div 1 Nurse initially in Auckland and then from 2012 in Melbourne. More recently, she completed her AMC examination, opening the door for her to return to her first love – being a caring GP. She is a member of the Royal Australian College of GP’s. She is fond of gardening and loves watching movies, and have time out with family and friends. A mother of two sons, you can find her enjoying and looking after her home and 12 year old son.